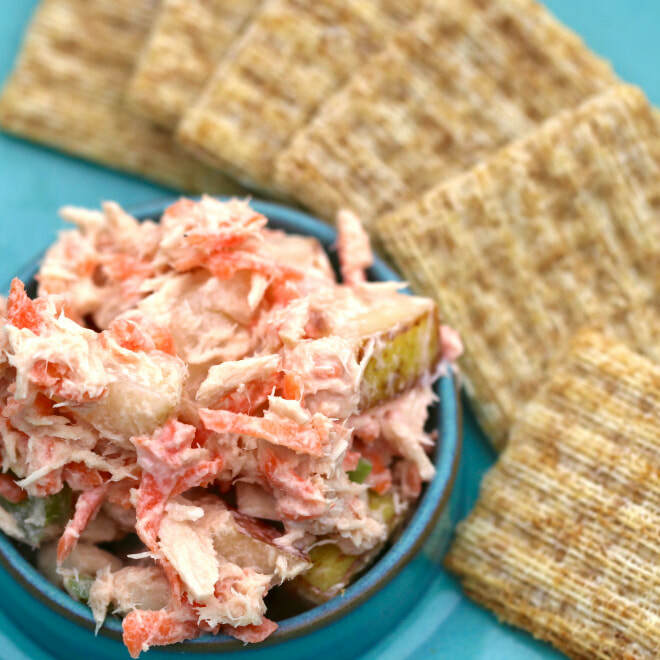 This heart healthy tuna salad recipe uses plain yogurt instead of mayo, and adds fresh fruits and vegetables for flavor and fiber. Not a fan of pears? Try adding apples or grapes. ​ If you loved this recipe, you'll probably like our Apple Salad recipe too! To make the dressing, mix yogurt and lemon juice in a small bowl. For thin dressing, add a tablespoon of water or milk. Mix tuna with the dry ingredients in a bowl. Toss tuna mixture with dressing. Serve.